Dr. Lynch will be giving the second part of her presentation on “Manufactured in Erie County – Almost Everything” as part of the Jefferson Educational Society (JES) series at the Sturgeon House. 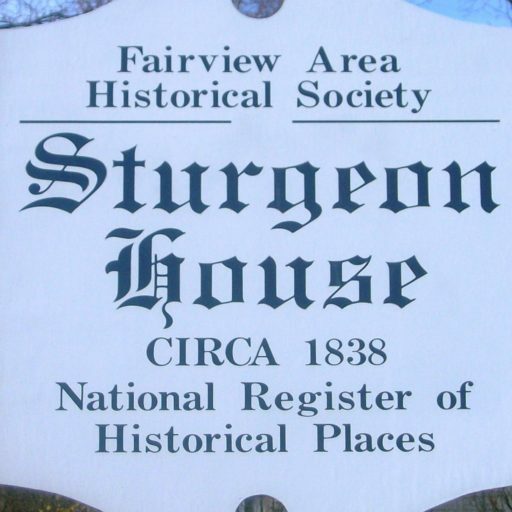 The Sturgeon House is one of several satellite locations for the JES programming. Part one was an instructional and entertaining power point program that highlighted manufacturing companies along the Route 20 corridor between Millcreek and Fairview up to the late 1800s. Part two will examine manufacturing there through the 1900s. In keeping with this theme, we return to the Commencement booklet of 1926, which describes a number of Fairview businesses at that time. 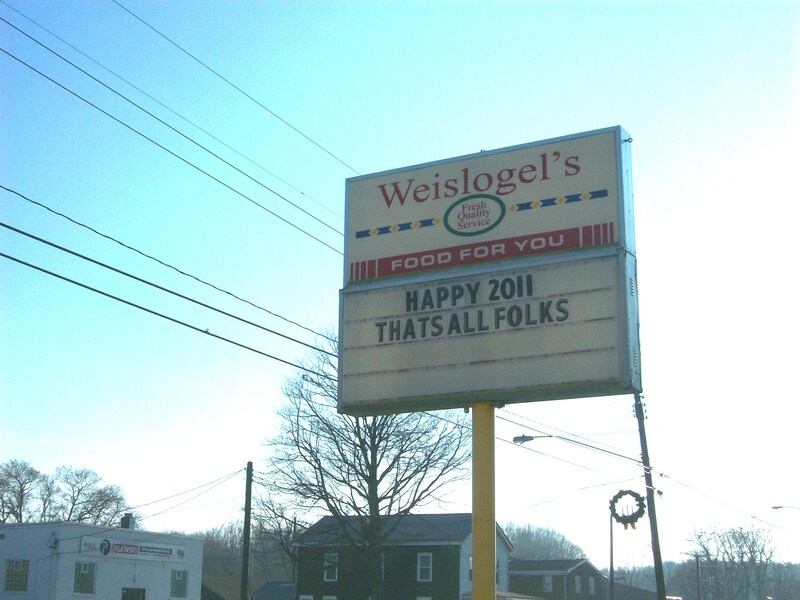 WEISLOGEL’S HISTORY is one. 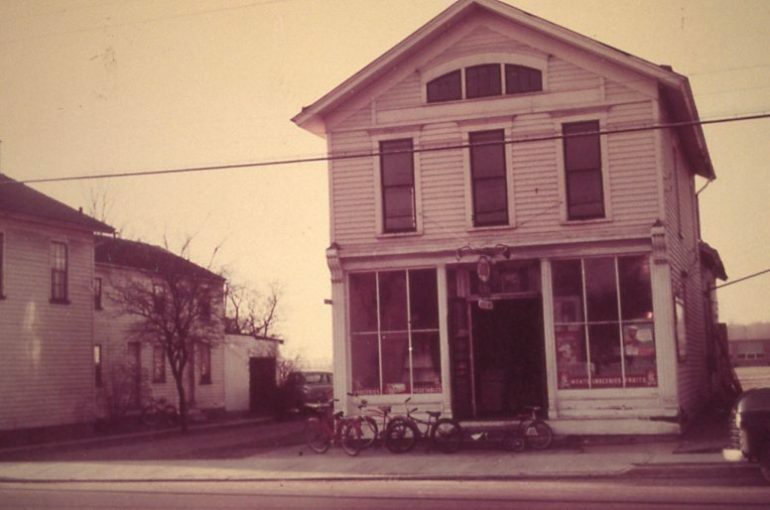 The business of selling food possibly began with Jacob Weislogel who operated a meat market in a small store on West Main Street with a small barn behind. But, a borough fire in 1886 destroyed both, along with nearly every structure on the north side of the street. 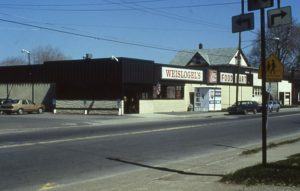 Later Charles Weislogel owned a fishery in the Manchester area. Charles’ son Roy joined the business, calling it C. E. Weislogel and Son. Roy even delivered the meat. They added groceries in the 1930s and began charging for deliveries (24₵ per address). Several of Roy’s children helped in the store as they grew old enough and one especially will be well remembered by Fairview folks… Bud. Accession and growth took place. A new building and parking lot replaced the old, Charles died, the building was expanded, Roy died, the building was expanded again and Bud died. Ron and Larry were next in line. 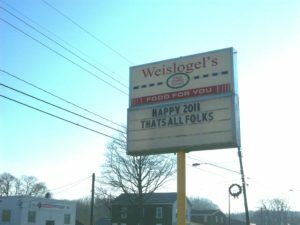 Big box companies closed in on Weislogel’s that for years had been affiliated first with IGA then Shur Fine. In 2011 the business closed. 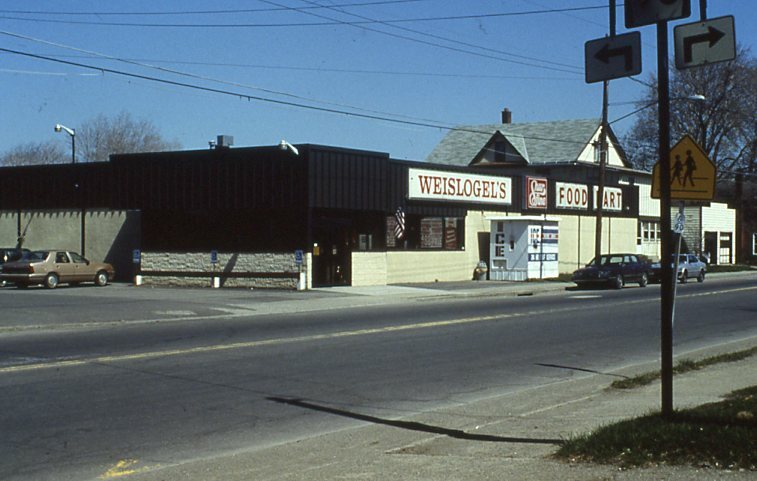 Over the years Weislogels employed a great many high school students as check-out clerks, stock boys, etc., etc. The owners were involved in every activity, organization and positive project in the community. Even the deli was known far and wide.